Safety Glass Cladding Wins Outstanding Fire-Resistance Accreditation ..
Not a toughened glass, Chromatics is extraordinarily resilient as a result of bonding together, at a molecular level, glass, organic colour process and metal. This results in a laminate that is visually stunning, durable and opaque and when encapsulated between annealed glass and aluminium gives world’s first optically flat, shatterproof, bomb blast resistant, thermally safe and impact resistant laminate that can be cut, edge worked and drilled after processing. A full range of RAL colours is available. As an alternative, high definition imagery may be specified. 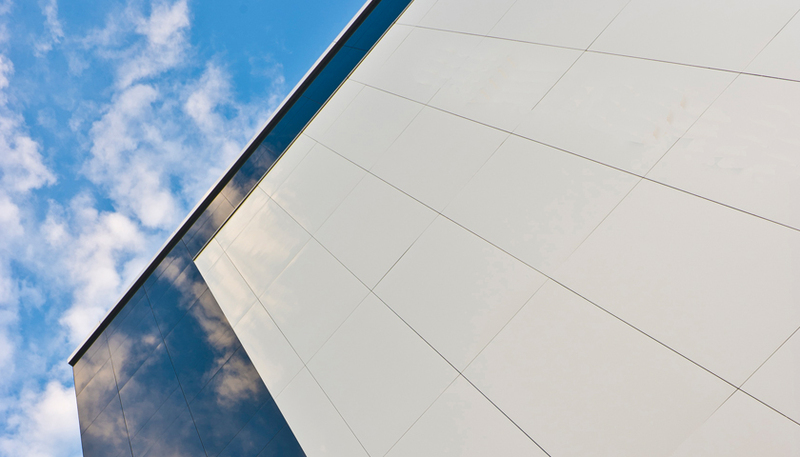 To find out more about Safety Glass Cladding by Chromatics Glass, please click here.